Art and clothing are two outward expressions of cultural tradition and pride. Many of the ways that culture is communicated from one generation to another are less visible than things like paintings, beadwork, and ceremonial clothing. 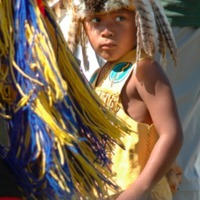 Heritage can also be passed along through stories, songs, and dance. 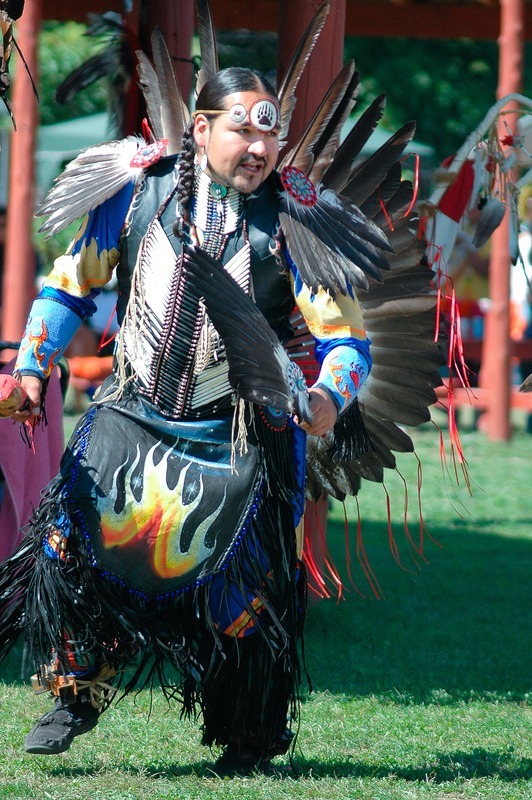 These photos, from the M'Chigeeng First Nation 18th Annual Pow Wow in 2005, show Anishinaabeg in traditional, formal regalia. They also help us see some of the colors and patterns considered important and beautiful. 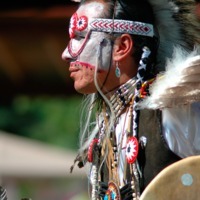 Pow Wows are one place the traditional stories are told, the regalia is worn, and the traditional songs and dances are performed.